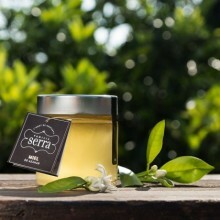 Familia Serra elaborates homemade marmalade with high quality, made with fruits from our own orange and lemon trees. 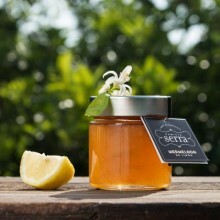 We also make use of orange blossom to elaborate orange blossom honey. 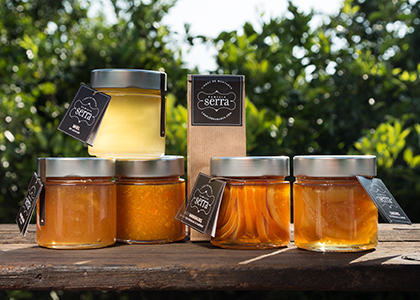 All the fruit our marmalades contain are growed and riped under the sun of Valencia at the fields of our farm l’Hort de Muntanya. 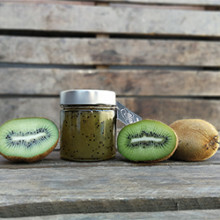 Our marmalades extra are a 100% natural product, without any chemical thickening or coloring. 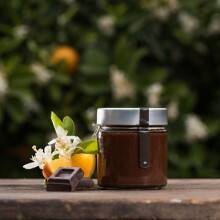 Only made with citrus fruits, sugar and lemon juice. 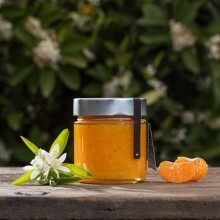 Every jar of marmalade (300g) contains 180g of freshly picked citrus fruits. 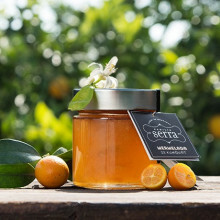 Next to marmalades, we also offer a totally natural orange blossom honey, directly collected from the honeycomb without going through any refining process. When spring arrives, the first honey will be collected. The first cut is more dark, because not the all the honey is made of orange blossom. Our honey is collected from the hive in the second cut which means that its purity is better than the ones you find in stores. 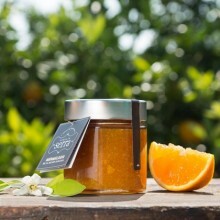 The reason of why this honey has a brighter color than others, is that it comes from 100% orange blossom and its bright colour is related to the whiteness of the blossom of the orange tree.